Remember when people actually used to drive their cars? Nick Hendricks: I was drag racing. I’m a drag racer. Detective Samson: You were drag racing. Detective Samson: In a Prius. Nick Hendricks: I don’t win a lot. 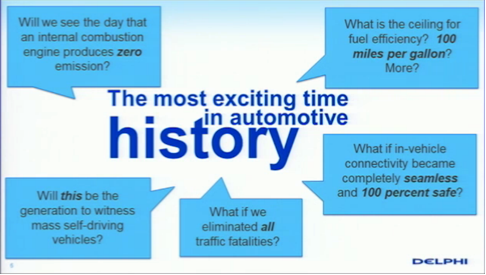 Automobiles are now a platform for multiple electronic devices. From controllers for complex hybrid drive systems like those found in the Toyota Prius to all types of entertainment systems such as stereos, video and of course for the current push towards self-driving cars. It’s no wonder then that automotive was so heavily featured at this year’s Design Automation Conference held in San Francisco. There was one keynote, The Design of Innovation That Drive Tomorrow, by Jeffrey Owens (Delphi Automotive), and a keynote panel, Cyber Threats to Connected Cars with Jeff Massimilla (General Motors), John McElroy (Blue Sky Productions) and Craig Smith (Theia Labs). There was a separate automotive track and at least five special sessions dedicated to automotive, as well as more panels, “Sky Talks” and the DAC automotive pavilion sponsored by Ansys, Cadence, Mentor, Dassault Systemes and Synopsys. Those are lofty goals, all having a significant impact on society not only in the United States, but around the world. Elon Musk, the founder of Tesla Motors, was quoted as saying, “We really designed the Model S to be a very sophisticated computer on wheels”. The Tesla Model S isn’t a self-driving car—yet. As automation takes over more of the driving and parking responsibilities, expect this trend to continue. 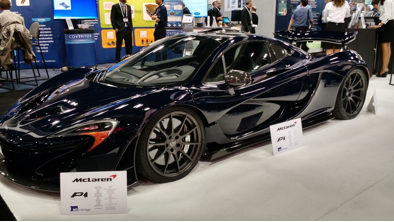 There were numerous cars displayed on the floor at DAC this year, but probably none as eye-catching as the McLaren P1 shown in the photo below. Going back to our friend Nick Hendricks (played by Jason Bateman) who doesn’t “win a lot” in his Prius, maybe Nick just needs to find a newer generation hybrid. The McLaren P1 and the Porsche 918 Spyder are both “plug-in” hybrids that would win a lot of races. According to Car and Driver, the 2001 Toyota Prius that debuted in the United States was capable of going from 0 to 60mph in 13 seconds and completing the quarter mile in 19.2 seconds. Car and Driver clocks the McLaren P1 0 to 60mph in 2.7 seconds and the quarter mile in 10 seconds and the Porsche 918 Spyder 0 to 60mph in 2.2 seconds and the quarter mile in 10.2 seconds. For production street cars, those are incredibly fast times. You may ask, how do these cars perform on the track? Well, glad you asked. 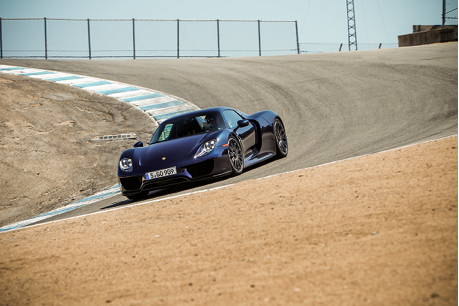 There’s a great video here of a test out at Laguna Seca between a 2015 McLaren P1 vs. a 2015 Porsche 918 Spyder. I won’t spoil the winner for you but I will say this, these are two very fast cars. They both broke the old track record for fastest lap time in a production. The electric/gas hybrid march doesn’t stop there though. Porsche placed its 919 hybrid in 1st and 2nd place at the very prestigious and grueling 24 Hours of Le Mans this year. Not only was this hybrid proven to be fast, but durable as well. They were the first two cars in the 24 hour race. 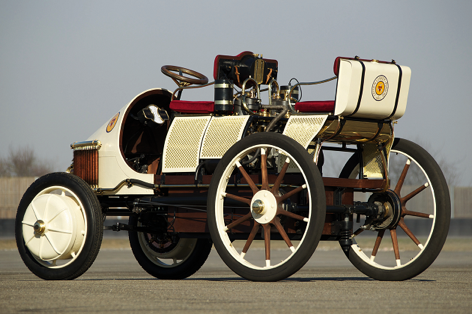 As an interesting side-note, Porsche claims that Ferdinand Porsche created the first functional hybrid car back in 1900 called the Lohner-Porsche Semper Vivus. I don’t have any 0 to 60mph times handy, but it probably would lose to Nick’s Prius. Still, that’s quite a feat for a car that was built 115 years ago. Thanks to modern electronics though, the hybrid has come a long way not only in the last 115 years, but in just the most recent 15 years, and will likely continue to see measurable improvements into the foreseeable future. Lohner-Porsche Semper Vivus, Photo Courtesy of Porsche Cars North America. It’s also interesting to see how manufacturers are marketing to future generations of car buyers. The ad here, shows a number of kids with their WiFi devices first sitting in a Chevy Malibu using its “4G LTE WiFi TV Spot, in car entertainment” and then taking their mobile devices into another car without Internet connectivity. Guess which car the kids liked better? (So much for performance or styling.) I believe there will come a day when people will ask, “Do you remember when people used to drive their cars?” We can’t be too far from seeing an iCar on the road now, can we? Barry Pangrle is an independent power architect and consultant with expertise in power/energy-aware design and verification from a semiconductor and EDA perspective. Barry, the McLaren P1 was brought to the show by IC Manage. Thanks for the info Shiv.